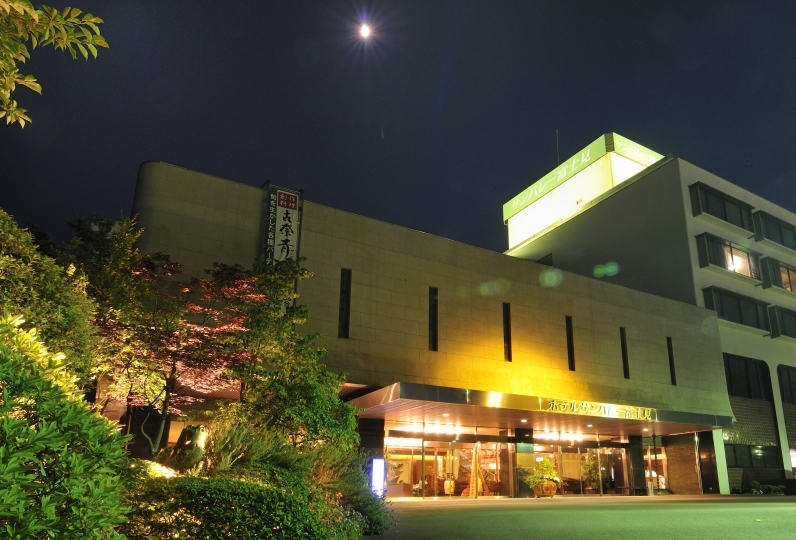 Izu Nagaoka Hotel Tenbo's motto is "Smile up to the sky and happiness will come to you". 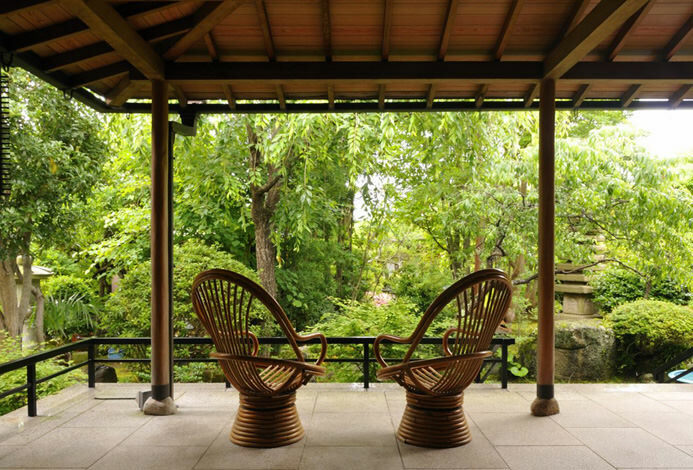 On a hill that commands a view of Mount Fuji, the hotel offers a fantastic vista and is characterized by an airy light-filled interior space. With your friends, your lover, or your family, various types of guestrooms are available for every occasion. All rooms at Hotel Tenbo feature universal design. The spacious guest rooms will comfortably accommodate even large groups. Meals are original cuisine made with selected seasonal ingredients and a buffet featuring locally-sourced freshly-harvested vegetables. Each meal will engage all your senses and you are sure to be satisfied. 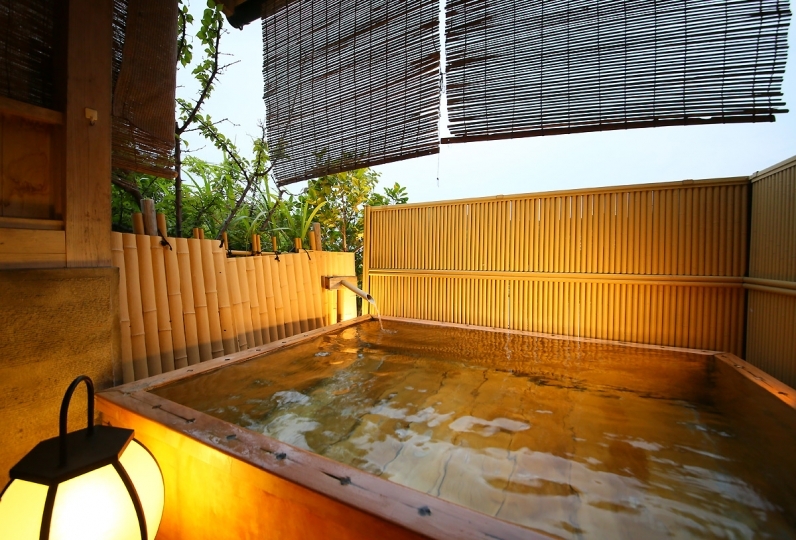 Three differently-themed open-air baths will soothe tired travelers. 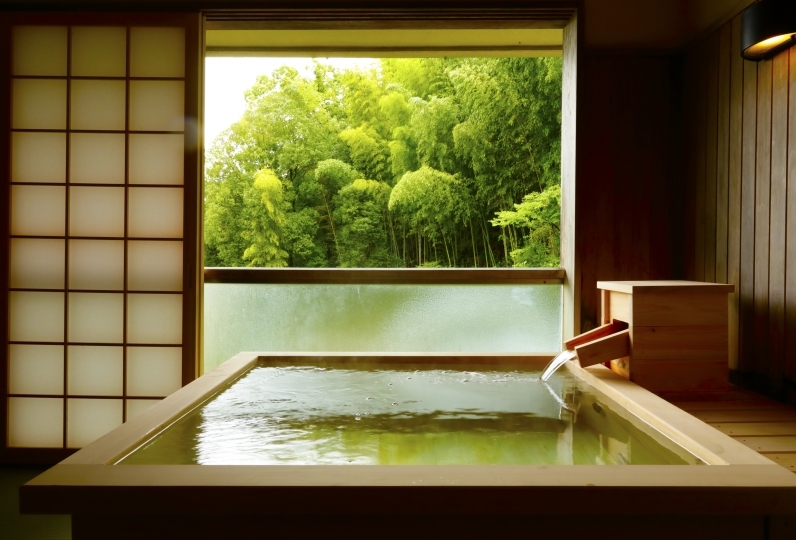 A private bath that families with children can enjoy and a foot bath with a splendid view of nature are also available. 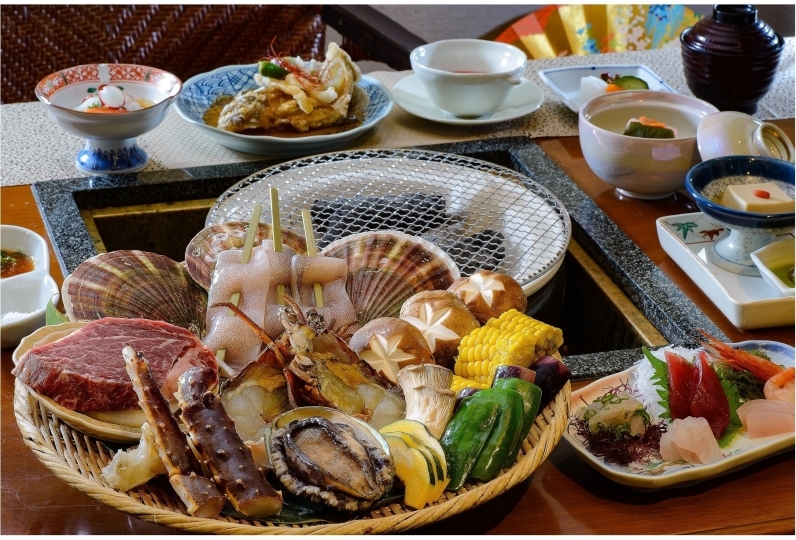 Enjoy to the fullest Izu's hot spring, delicious meals that use fresh locally-sourced ingredients, and the quaint atmosphere. Your stay at Hotel Tenbo will refresh and revitalize you. Mt. Fuji seen from the room was wonderful. As I can not see it from the hotel in Nagaoka, I chose this room and it was a great answer. My mother who liked Fujisan was also happy. I dropped my rating because I was sorry that I also dried my vegetables and vegetables for my dinner. All the half-biking dishes were delicious, and the main dishes were good, but the others were good. In this stay, I was able to spend a great deal of time. Thank you very much. In addition, I will stay by all means! ! この度は、ありがとうございました。 久しぶりの休みで たくさんある旅館の中で 天坊さんを選択した自分達に間違いはなかったです!! 大自然の中で、とてものんびり リラックスできました!! また機会がありましたら 必ず行き... Read more この度は、ありがとうございました。 久しぶりの休みで たくさんある旅館の中で 天坊さんを選択した自分達に間違いはなかったです!! 大自然の中で、とてものんびり リラックスできました!! また機会がありましたら 必ず行きます!! お世話になりました!! Thank you for this time. 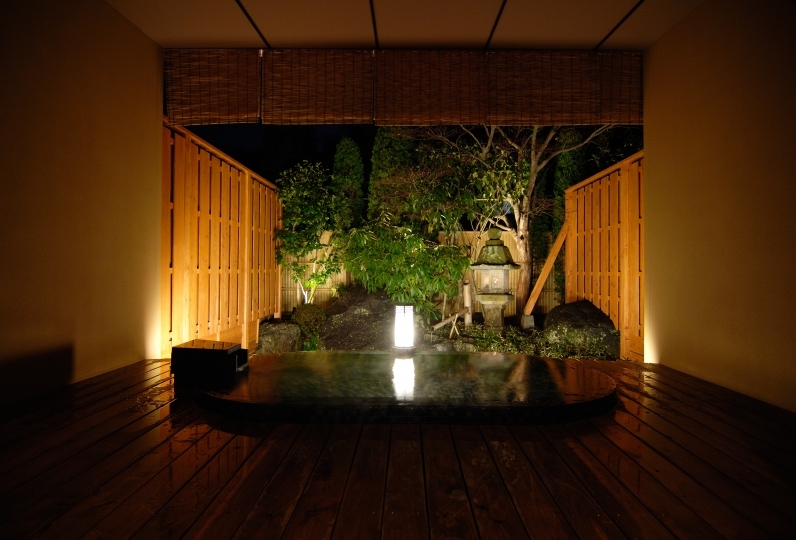 There was not a mistake in themselves who selected Tenbo in a ryokan with a lot of holidays after a long absence! In relaxing nature, I was relaxed very relaxingly! If there is opportunity I will definitely go! became!! After consultation, the therapist will choose from thirty types of essential oils and create a blend just for you. The specially blended essential oils will be used during a relaxing aromatherapy massage. Various treatments are available from full body treatments lasting 140 minutes to 30-minute-long course for first timers. *The 150 yen bath tax is not included. 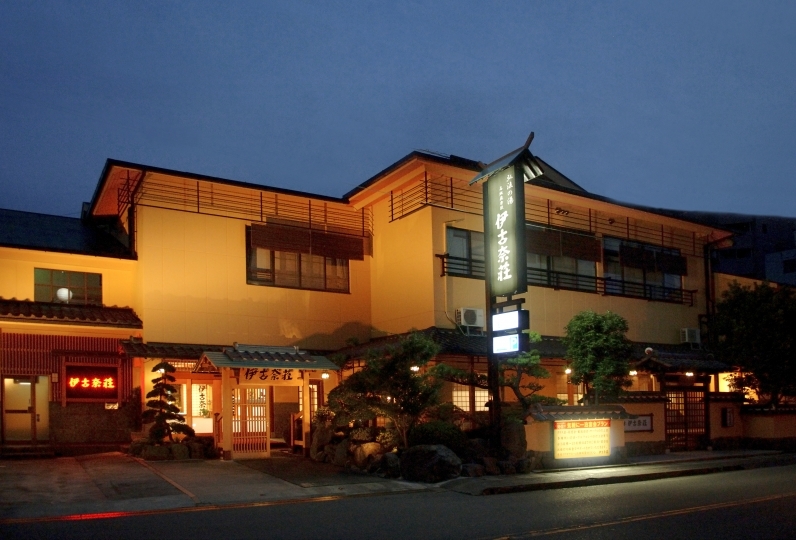 -The hotel can pick up guests at Izu Nagaoka Station if their arrival at the station is before 17:00. Please call the hotel and ask for the service. Guests traveling alone are welcome to use the service. A hotel shuttle to Izu Nagaoka Station is available at 9:00, 10:00, and 11:00 AM.